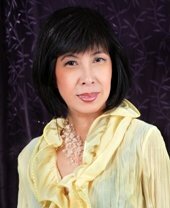 JESSICA SEE is a Certified Professional Trainer, IPMA UK, Certified Professional Coach, Certified Neuro-Linguistic Programming practitioner, NFNLP USA and Certified Neuro-Semantics practitioner, ISNS. A writer and editor by profession, she spearheaded the launch of a business magazine for working women called Woman At Work in 1989. Besides editing books for top publishing houses on a freelance basis, she has also written her own book Making an Impact as a Trainer and is completing another two books. 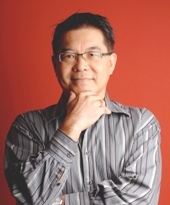 PATRICK YC LIM is a Certified Professional Trainer, IPMA UK, Certified Professional Coach, IPMA, UK and Certified NLP Practitioner, NFNLP-USA) and Certified Neuro-Semantics Practitioner, ISNS. He is in great demand as a business coach, professional speaker and trainer in the area of sales, communications and leadership in Singapore, Malaysia, Australia, and New Zealand. 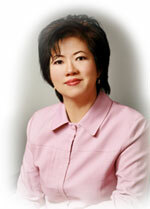 JUNE TAN is a Certified Professional Trainer, IPMA, UK as well as a Certified Coach. For the past five years, she has conducted workshops on image, business etiquette and personal branding for numerous organizations. Her training style is humorous, encouraging participants to take a lighter look at themselves and helping them to understand that anyone has the capacity to look good and feel great with whatever natural assets they have been gifted with. For details of the Persuasive Communication workshop in Singapore, click here.